Are you a fan of the popular song “Bushel and a Peck”? 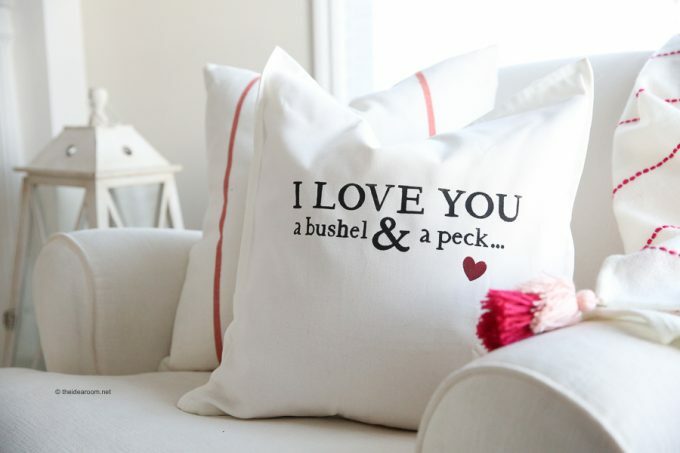 If you are, how about making this fun Bushel and a Peck Pillow from The Idea Room. This pillow pattern is perfect for a nursery room. You can even use it within your home when the Valentine’s Day holiday comes around to decorate with your other decorations during the month of February!